I started to play electric guitar at the age of 13, pursuing this course for several years. I later branched out towards finger style acoustic guitar and classical guitar where I progressed through the grade exams achieving grade 8 standard. 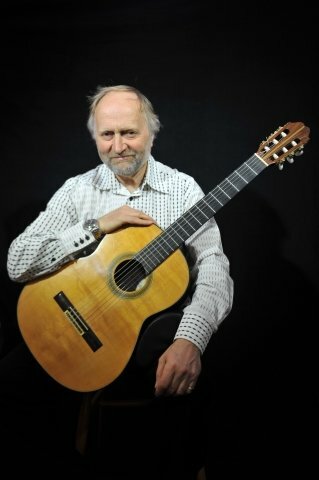 Later still I achieved my Associated Diploma of the London College of Music in Classical guitar. In 1993 I graduated from Dartington College of Arts with a BA (HONS) degree in music. I have been teaching the guitar full time since 1993 after my graduation. This has mostly involved electric guitar due to demand. I have also taught acoustic guitar considerably and obtained a few classical guitar students. A number of my students have taken grade exams achieving high pass marks at elementary and advanced levels. I have records of each exam taken. I record the student's practice material together with appropriate accompaniments/backing tracks during the lesson, on an RWCD which the student provides. The students then upload the recording on to their computor to practice along with. At the following lesson, I erase the material from the CD and record fresh material. Students tend to find this method most motivating. I also approach the lessons with the students taste of music to a considerable degree.